Drop-in and find out how to fix bikes, join a workshop and generally get involved in bike friendliness. Quality, refurbished bikes for sale of all shapes and sizes. We have a focused session which is about learning to fix your own bike including help to get you back on two wheels! You can also help us fix donated bikes and learn about volunteering opportunities. 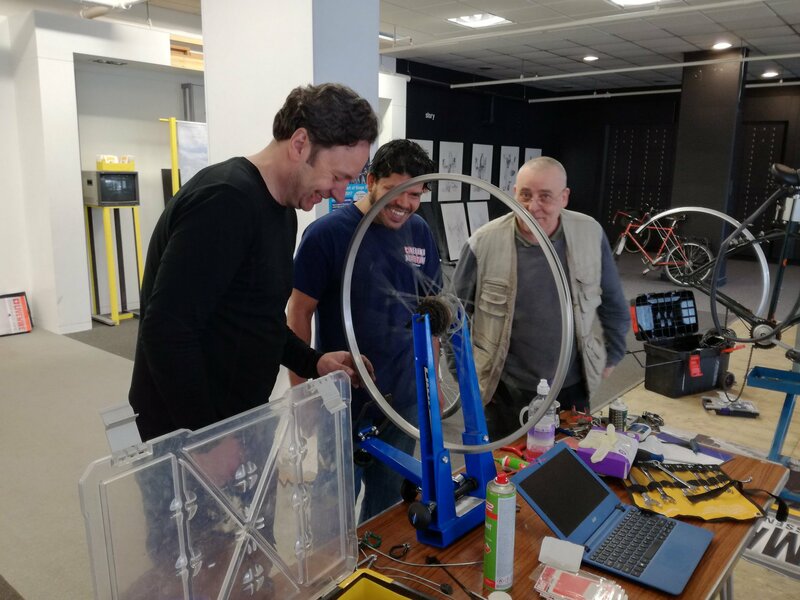 Fridays at The Capital of Cycling Hub are run in conjunction with the Bradford Bikery project that refurbishes and rescues pre-loved bikes, helping communities along the way. We’re offering decent bikes at a fraction of their usual cost. The bikes are donated, repaired and sold on. All the profits go back into the charity. Friday is the day when you can learn how to fix bikes by helping us fix bikes for the project, learning about maintenance along the way. You can get involved in repair and maintenance workshops, volunteering opportunities and find out about rides, cycle campaigns and other things going on a The Hub. This is all about community empowerment, there is no charge but donations are welcome. Tea and Coffee facilities available.